Located in the bustling city center and considered one of architect Antoni Gaudí’s signature works, Casa Batllo can perhaps best be described as a combination of Modernist and Art Nouveau architecture. 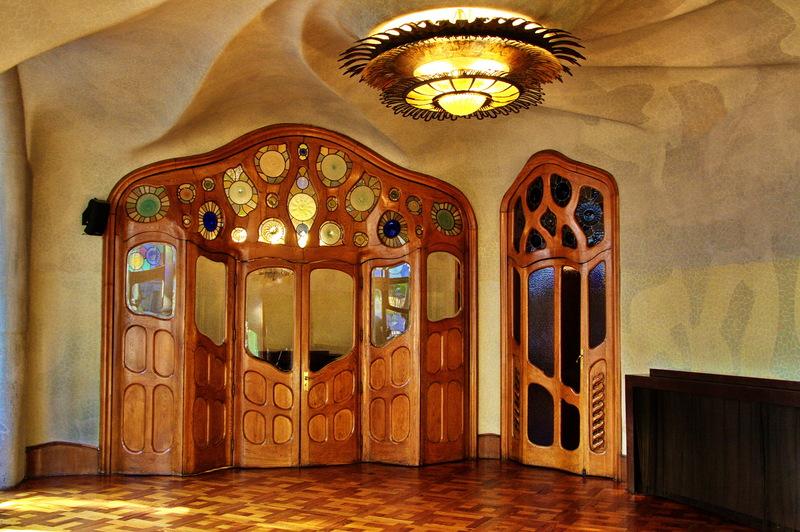 Gaudí’s design goal seems to have been to avoid straight lines—completely. Much of the facade is decorated with mosaics made of broken ceramic tiles, ranging in shades from golden orange to greenish blue. The roof is arched and often described as resembling the back of a dragon or dinosaur, so it’s not surprising that most locals call the building "House of Bones." Originally built for a middle-class urban family, this is one of two Gaudí houses available for touring. Skip the lines by booking your tickets online. Plan to visit Casa Batllo during your Barcelona vacation using our convenient Barcelona trip itinerary planner. The building designed by the genius of Gaudi. Made of concrete, glass, ceramics, almost fairytale ... The roof looks like a dragon, harmonious and magical forms of glass inside. Worth seeing, the ticket for visiting is expensive, who can do it online (a small discount, and we don't row..) ... Well worth it!! Similar to the Sagrada Familia, impress how to see and feel the visit worthwhile architecture by Gaudi.vale. The house will be amazing once the restoration will be over, but now, unfortunately everything is gone. They will provide an AR mobile app so that you can experience how the place originally looked like, but still, it's not the same and I must admit I was frustrated for having paid the entrance which is quite expensive. Enjoyed the terrace and the chimneys though. Incredible building! Unfortunately we went while it was undergoing necessary restoration but it didn't really hinder our experience inside. The augmented reality tour was great, first time with something like that. Recommend the visit to the parlor with the original furniture. Definitely worth the visit!